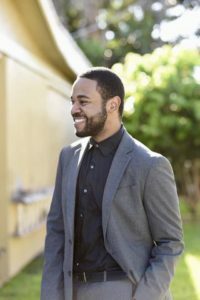 Keenan Ellis is both a native Miami orchestral musician and music educator who began playing the violin at age eight. After graduating from Coral Reef High School, Mr. Ellis attended Florida State University as a violin performance major in the College of Music. After taking an introductory music education course during his first year, he immediately changed his career path from performance to education, and the rest is history. While receiving both a Bachelor of Music Education degree, and Master of Music Education from Florida State University, Mr. Ellis directed both high school, and middle school orchestra, band, and jazz ensembles in addition to teaching music theory courses. When taking his high school orchestra to District MPA for the first time, the ensemble received straight superiors, and qualified for State MPA, a feat never achieved by that ensemble. As a performer, Mr. Ellis performed in both the Florida State University Philharmonic Orchestra and University Symphonic Orchestra, Greater Miami Youth Symphony during middle and high school, with New World Symphony Orchestra under the direction of Michael Tilson Thomas, Ars Flores Symphony Orchestra, and Miami Children’s Theater as a pit musician. In addition to performing with various orchestra, Mr. Ellis was the president of the professional music fraternity, Mu Phi Epsilon.